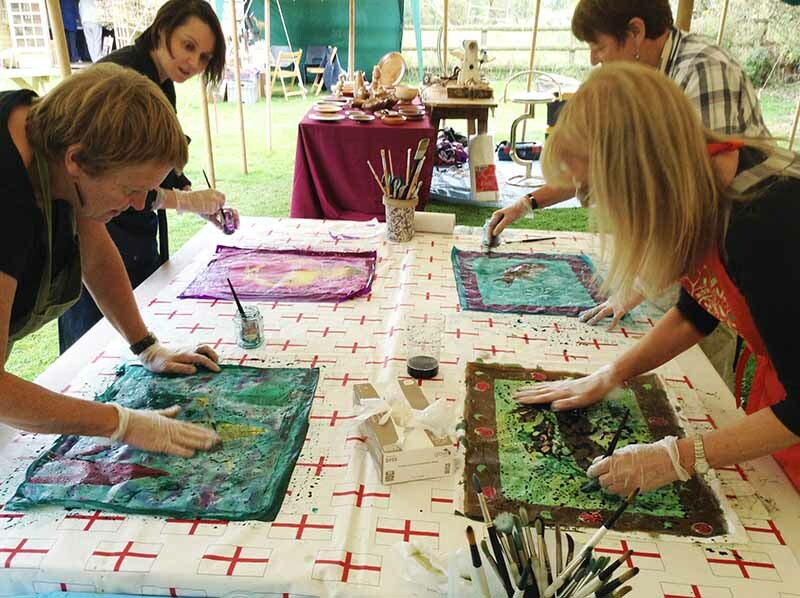 I run screen printing workshops for adults and children at my studio - M's art cabin where I can accommodate up to 3 screen printing students at a time. It is situated in the grounds of an organic plant nursery, so there is plenty of inspiration at hand. I provide all materials and refreshments plus plenty of help for first timers in a relaxed, fun and creative atmosphere. To book a workshop select your preferred date below, add it to your basket then proceed to the checkout to make your payment. Alternatively please contact me if you want to arrange a date for your group. If purchasing as a gift for a friend or loved one please state details in the order notes and a will send a personalised voucher which excludes price details. Beginners welcome and those afraid of art passionately encouraged!